The dozer blade has a clever design change as it has been modified to fold inwards, thus keeping it within the width of the low loader. 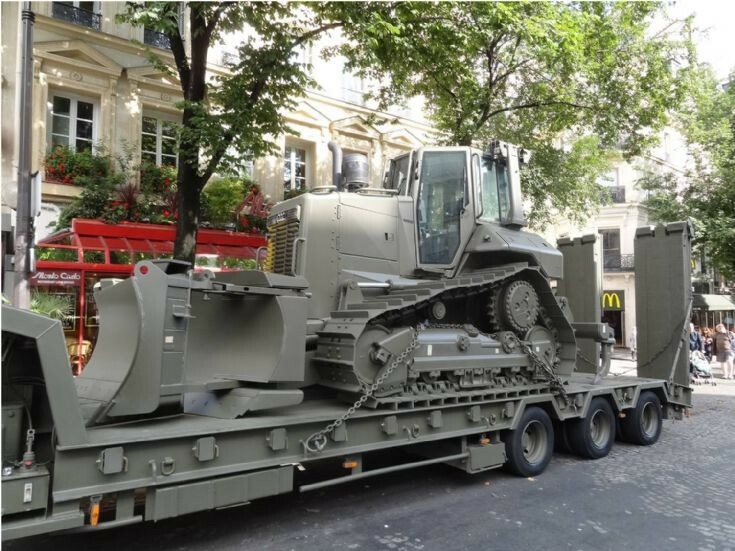 PS Did you note the manufacturer of the bulldozer ?. Added by Stephen Prosser on 16 November 2013. Added by Roger Greenaway on 18 November 2013.